Summer doesn't officially arrive for another two weeks, have you heard? Here in the Coachella Valley, summer comes earlier and can blaze into October. As we head into our endless summer, what should wine drinkers know about choosing wines that offer refreshment, flavor and balance with warm-weather foods? Crisp whites and rosés are sure-fire shortcuts for easy summer drinking. Not only are they reliable stand-alone sippers, but they also pair well with summer cuisine. Besides these standbys, here are tips for choosing wines that merit a place at your table during hotter months. Choose fresh and fruity unoaked whites. Young unoaked whites with good acidity not only taste crisp and clean, but they also take well to a good chill. Chardonnay lovers may want to try an unoaked version. Another option is French Chablis, also made from Chardonnay. Other whites that are usually unoaked are Sauvignon Blanc, dry Riesling, Rueda from Spain (made from the Verdejo grape, which produces a lustier white similar to Sauvignon Blanc) and Italian Pinot Grigio. Northern and Central Italian white grape varieties also make light-bodied sippers that go well with clean summer fare. Pick up a Soave or Verdicchio, or try Gavi, made from the Cortese grape. Give off-dry wines a try. While not many people admit to liking wines with a bit of sweetness to them, there's a lot to like about slightly sweet wines in summertime. Off-dry wines are especially tasty with summer salads served with a honeyed dressing or tossed with ripe, fresh summer fruits. Wines high in acidity give balance to the sweetness, which helps give these wines lip-smacking freshness. Try an off-dry Riesling, Moscato or a white that includes Muscat Canelli, Semillon or both in the blend. Cool down with fizzies. Sparkling wines make a great summer treat. Many bubblies are lower in alcohol, and make a soft landing in your tummy on a hot summer day. Pink sparklers made from Pinot Noir or other red grapes often have fruitier sweetness that their paler cousins. 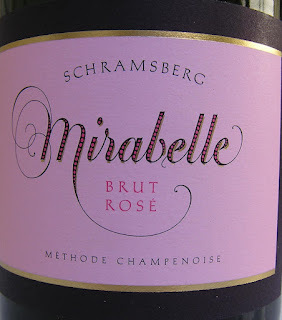 Think pink Champagne or a pink sparkling wine such as Schramsberg's Mirabelle, always a beauty. Italian sparklers worth a sip are Brachetto, made from the red grape variety of the same name, and frizzante Moscato. Rethink rosé. Even if you think you know rosé, pink wines come in many styles worth exploring all summer long. If your palate finds French rosé too light or dry, try a heftier rosé of Cabernet Franc from the Loire. Stay on the lookout for rosés made from other types of red wine grapes besides the Grenache-Mourvèdre-Cinsault combo that dominates many southern French rosés. For example, rosé of Malbec or Cabernet Sauvignon are often hearty enough to satisfy a rosé-naysaying red wine lover. If you prefer a fruitier, floral rosé profile, look no further than rosé of Pinot Noir. Oregon is turning out some lovelies right now. Opt for younger vintages too, and stash away a few extra bottles from the 2011 vintage for the fall and winter. This stuff is too good to drink only in summer. Tame the tannins. Red wine die-hards can still enjoy reds all summer long, as long as they're not Barolos or the big Napa cab that set you back a C-note. While the mouth-filling richness of alcoholic and high-tannin reds sing with winter short ribs or a juicy steak, those same wines can singe the palate in summer. Reach instead for softer, fruitier reds. Gamay, the grape of Beaujolais, makes terrific wines – look for Cru or Villages on the label, or stay on the lookout for wines from the Brouilly or Fleurie appellations. Other lower-tannin reds include Pinot Noir, Sicily's Nero d'Avola, Barbera, Valpolicella, some Riojas and Merlot. Remember to check the alcohol concentration on the label. European wines are often a better bet for lower-alcohol levels. Thirsting to taste examples of these wine styles and to learn more about choosing warm-weather wines? Then join us Sunday, June 24 at 5 PM for our next Wine Essentials wine tasting class at Cooking with Class in La Quinta. Get a jump on landing wines to keep you cool all summer. It's gonna be a long one.